Don't panic if you print your shipping labels online, but sellers who purchase postage for First Class Packages at the Post Office should be aware of a change in rates that goes into effect on Sunday. We admit it, this one snuck by us. It was a reader who alerted us this afternoon. "Have you heard anything about parcel post rates going up next Tuesday," he asked. "My postmaster told me they were and even gave me a chart of the increases. 1-4 ounces increase from $2.67 to $3.00 and so forth." On August 9, 2017, the Postal Regulatory Commission ("PRC") approved the transfer of the First-Class Mail Parcels ("FCMP") product from the market-dominant product list to the competitive product list. 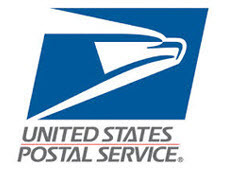 The approved new rates (13 rate cells in total) can be viewed on the Postal Explorer website at pe.usps.com and will go into effect on September 3, 2017. After implementation, the FCMP product will become a new "Retail" rate category within the existing First-Class Package Service ("FCPS") product. The new "Retail" price category will be called "First-Class Package Service - Retail" while the existing FCPS price category will be renamed "First-Class Package Service - Commercial." The new FCPS-Retail product has the same characteristics as the former First-Class Mail Parcels product. Partenheimer also sent us a link to the PRC approval of the change, which was issued on August 9th. Stamps.com spokesperson Eric Nash told EcommerceBytes there is no change in the rates for online sellers printing postage online. Previously First Class Mail Parcels was Market Dominant and could be purchased at the Post Office. First Class Package Service, which is Competitive, can only be purchased online, he explained. "Now they are making these one mail class (in the competitive schedule), with "First Class Mail Parcels" being changed to "First Class Package Service - Retail" (purchased at the Post Office) and "First Class Package Service - Commercial" (purchased online)," Nash said. "The rates at the Post Office for First Class Package Service - Retail" will be higher than online rates." The significance of Market Dominant versus Competitive is that the USPS has limits on raising Market Dominant rates, whereas it has more leeway in raising Competitive rates. "First Class Package International Service is having tracking (known as EDelCon internally with USPS - formally titled "Electronic USPS Delivery Confirmation International service") added to four new countries. As of 8/31, Cyprus, Greece, Japan, and Russia will receive tracking. This tracking service will also now be available to customers purchasing First Package International Service at the Post Office (this will start on 9/22/17)." raise the rates for the Chinese, then lower the rates for the U.S makes more sense. Betting that when January price increases are announced that people are going to need more than one aspirin for the increase. If over the counter went up 33 cents on a 4 oz package I can see a lot of people who now offer free shipping which ain't free charging something for it. We just went thru all our auctions and raised everything another one per cent and tacked on an additional 1.00 for shipping. And let us not forget Wenig's 10% tax on ALL postage to line his and his executive staff's silk pockets. Fees on shipping are the same as the category you sell the item in. There is nothing on the USPS web site, Notice 123 or on the postal explorer pertaining to the rate increase. I never got a notice from them and I was also never told about it at my PO since they know me well and that I use my own postage for my packages. "1-4 ounces increase from $2.67 to $3.00 and so forth." Wow, that is quite a hike. Looks like I'll be raising my shipping rates. I am guessing that eBay will enjoy this increase as it always means a lot more money in their pocket, on the backs of sellers of course. Do you purchase your postage at Retail Rates? If so why? more nonsense and much to do about nothing. It might be because of the Holiday weekend. Pitney Bowes has a chart of the new rates. Now that the USPS has rate freedom on small packages like UPS and FedEX, then USPS should also be classified as a common carrier with associated liability. When the USPS records an package acceptance scan and they subsequently loose it, they should be held financially responsible, just like USP and FedEx. "And let us not forget Wenig's 10% tax on ALL postage to line his and his executive staff's silk pockets." ?... where have you been Joe Dimaggio. The 10 percent charge on shipping is a direct result of sellers who charge 5 cents for a product and then charge $30 for shipping. Its as old as Dr Ming and the Johnny Depp pirate guy etc. Well I send most of my items 1st class so this means I will be raising my pricing on ebay. Customers still expect free shipping, but that cannot happen without raising prices to compensate for it. Customers do not realize that they are really NOT getting FREE shipping, its always built into the pricing to begin with. Someone needs to tell this to Etsy CEO Josh who just told Etsy sellers that their problems would be solved if they all had free shipping. Folks, this rate hike is ONLY if you go stand in line at the Post Office and purchase your postage there! It has no impact (for now) on anyone purchasing their postage online. There is no reason eBay can't CREDIT BACK the FVF on POSTAGE bought on eBay. That prevents fee avoidance while being FAIR to sellers who charge actual rates to ship. Did they go up for the Chinese? If not, I think there ought to be class action law suit for discrimination and Abuse of Powers by the Postal Department against Americans in general, and for raising rates for Americans to subsidize the Post Office's loss for delivering Asian packages.